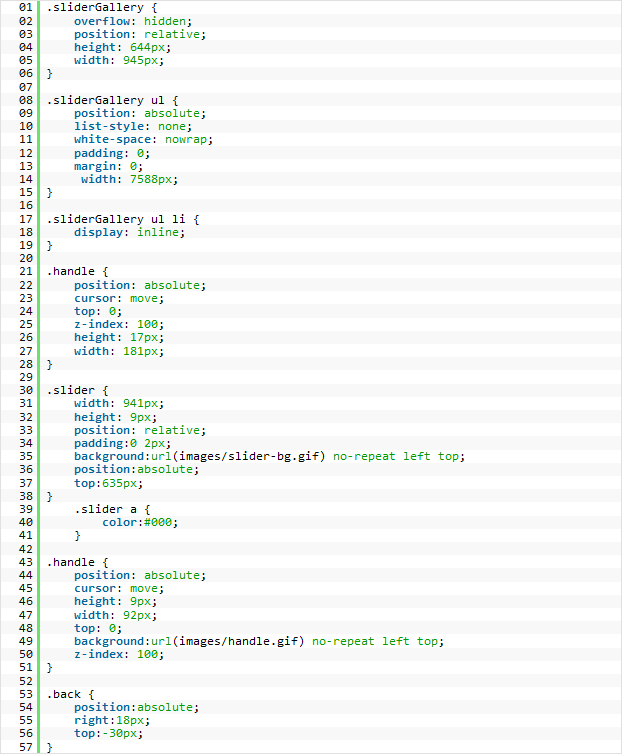 This is a Gallery Script that uses jQueryui ui. This script does not require any configuration. Bulleted list is used to display the slides. The <div> tag with the .slider class and a nested <div> tag with the .handle class are used to display the scrollbar. So in order to customize the scrollbar you will need to edit the styles within the corresponding classes (.slider and .handle). Make sure to put a correct width value for the .slider class. This value is counted as total width of all slides together with the spaces between adjacent slides.